We had some extra demos this year and so could afford to have the Skogar Þrostur professionally painted. LOOK at her! So pretty! We hired Chrisholm Marina to do the work. They did some repairs and painted her to our specifications. We bought the exterior paint and they provided the interior and the black. The price was excellent and they did a wonderful job. We recommend them. Janet researched the color scheme. In addition to the Bayeux Tapestry, which shows Viking style ships where the strakes are different colors, she also found a reference to 'colored ships' sailing up the Seine to sack Paris, and some illuminated manuscripts with different colored strakes. So we've taken the plunge and painted her in the same vein. Here she is with no rigging. It was SO WINDY today so here she is with the sail only partway up. We couldn't get the sail all the way up at all. We'll try again the next time we have her at a Demo. And here's one with just the rigging and no sail. We went to Scanfest 2016 with our friend Bruce and this time took the Longship Company's faering the Gyrfalcon. We have also bought a Viking Tent! Isn't it beautiful? The tent is available for all future demos at no extra cost! The Skogar Þrostur is undergoing a facelift. Stay tuned for pictures of the colorful results! Terry and Janet with the Gyrfalcon and the new tent. We will be at Scanfest again this year. Come and visit! On Monday we gave our first School Demo with the Skogar Þrostur and it went very well! One of the school volunteers said it was the best reenactment demo she'd seen in that school since her kids first started going there 17 years ago. Wow! The kids were great, so kudos to the teachers for class discipline. They also asked a myriad of really good questions so kudos to the teachers again for fostering curiosity and not being afraid to ask questions. The school took photos and put them up on their web site so you can see us. The tent belongs to Ann and Kurt, who have a student at the school and were the ones who contacted us and invited us to come. We sent the kids back to class through the Viking tent so they could see the inside of it. We talked about how Viking ships were built and how they sailed from Norway to Iceland to Greenland and then to Canada. We told them about Leif Ericsson who was the first known European to discover the New World. We talked about New World vs. Old World foods. That a traditional Thanksgiving feast is almost entirely made of New World foods—Turkey, pumpkin pie, cranberry sauce, mashed potatoes, sweet potatoes or yams, green beans, corn bread. (Also maple syrup, chocolate, vanilla, peppers, chiles, tomatoes and peanuts.) And about the Old World foods the Europeans brought to North America—Honey, apples, wheat, barley, mustard, olives….) We gave the teachers a handout with 18 foods listed. The kids can circle the New World foods. We talked about Viking trading and passed around some furs. We learned to do that at the end as they were quite excited about the furs. We have martin, fox, mink, reindeer, rabbit and sheep. We told the kids about the Lapps who farm reindeer similar to our farming cattle. We also talked about clothing and how much time it takes to make. “How many of you have more than three outfits at home?” Every hand went up. "Wow. I only get one new outfit a year!" We then talked about all the work it takes to make just one yard of wool cloth—Three hours of combing to make enough roving for one hour of spinning; three hours of spinning to make enough yarn for one hour of weaving, which makes one yard of cloth. That’s 13 hours per yard! And that doesn’t include cleaning the wool, cutting the cloth or sewing it together by hand with a needle and thread—and you have to spin the thread, too. Every class recited “Viking helmets did not have horns!” along with us. So there are at least 260 more people who now know that myth is false! Ann and Kurt from the Home and School Association also took us out to lunch at a nearby Turkish restaurant. Yum. There are many kids of Turkish descent at the school, they said, so our noting that Vikings lived in Turkey, too, was quite relevant (And Italy, France, England, Ireland, Russia, Ukraine, Germany….) In response to a question by one girl who said she was Turkish, we told about the Viking runes carved into the Hagia Sofia in Istanbul. The school Custodian is from the Ukraine and he wanted photos of the him with the boat and us to show to his friends. We had a wonderful time even though we were exhausted afterwards. But we’d do it again in a minute. Thank you for inviting us, School #3! Come see us at Scanfest at Vasa Park in Budd Lake New Jersey! The Skogar Þrostur will be there in all her glory and we will also have other Norse artifacts that you can handle and ask questions about. We will be there Sunday September 2, 2012 from 10:00am to 6:00pm. We will tell you all about Viking ships and sailing and Norse culture! There will be lots of Vendors selling Scandinavian merchandise and performers. 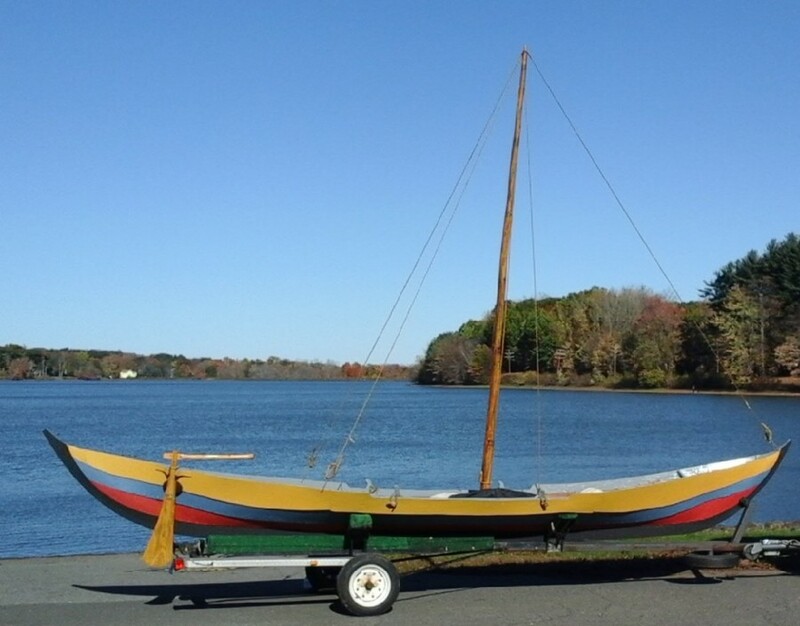 The Skogar Þrostur will be in Windsor, CT on Sunday May 15, 2011 from 2 to 5 pm. The Hartford Lodge of the Sons of Norway is celebrating Norwegian Constitution Day at the Hayatt Summerfield Suites Hotel. Here is the flier (1 page .pdf). Come see us there! 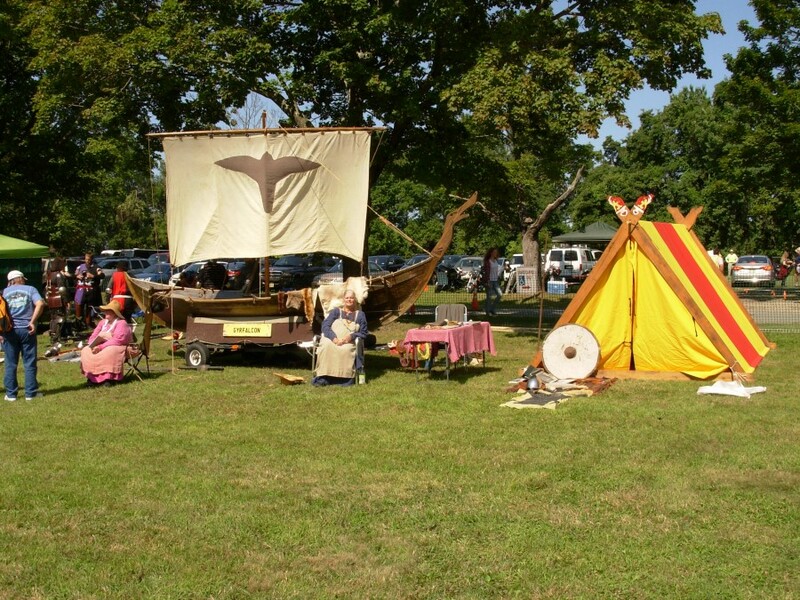 On May 21st we will be setting up a Viking encampment with friends at the Daily Life Schola at Holcomb Farm in West Granby, CT. This is an all-day event filled with classes of every day activities of medieval life, from the daily use of Viking ships (that's us!) to baking in a bee-hive oven. If you're interested, come on by! We will have medieval clothing to loan for you to wear. Site fee is $8 (plus $5 if you are not a member of the SCA). The classes are mostly free, though some have a modest materials fee. We will also be at the Roundhill Highland Games at Cranbury Park in Norwalk, CT on Saturday July 2, 2011 from 8am to 6pm. We'll be talking all about Vikings in Scotland. Speaking of which, here's an article about a Viking archeology site on the Isle of Skye. This is so very, very cool. investigate a 12th Century Viking shipbuilding site. uncovered at Loch na h-Airde on Skye's Rubh an Dunain peninsula. Scotland (RCAHMS) has launched the air surveys. Staff hope to pinpoint new sites for investigation. potential dive sites for searches for the remains of ships and other artefacts. for many centuries, from the Vikings to the MacAskill and Macleod clans of Skye. Also the longships on the Bayeux Embroidery are striped and there are contemporary descriptions of "colorful" Viking ships sailing up the Seine. So we decided to be colorful ourselves! You'll see the results at the Roundhill Highland Games. Novice Schola in Springfield, MA. 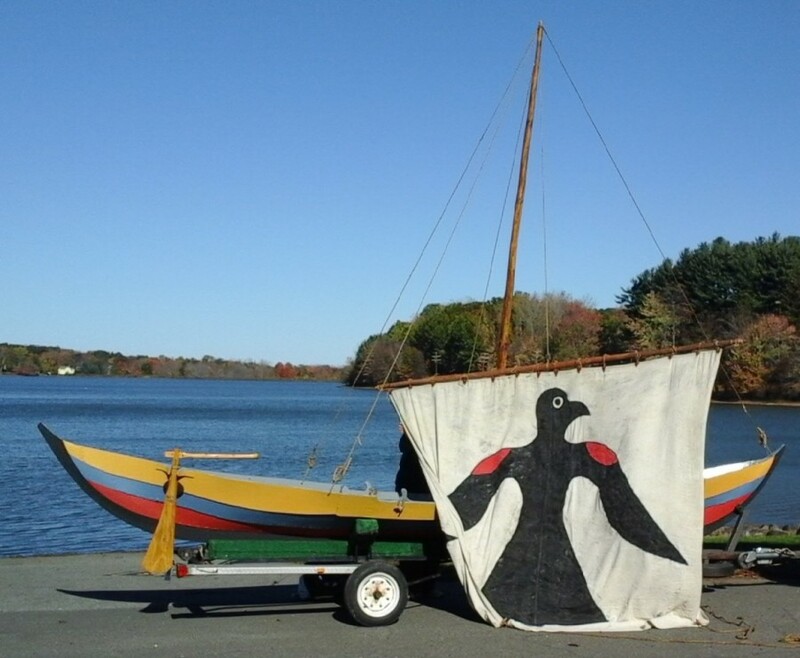 We will be teaching a class in How to Rig a Viking Faering Boat at the Novice Schola SCA event in Springfield, MA on March 5, 2011. Our friend Jeff Krug will join us. Here is the class description: The anatomy and rigging of a Viking or Norman ship. The Skogar Þrostur is a Viking Faering (four-oared boat) based on the Gokstad faering buried in Norway in the 9th century. We will demonstrate standing and running rigging, explain construction techniques, steering and navigation. Class outside (rain or shine - bring an umbrella if it looks like rain, one hour, no class limit. We will also be teaching the Bayeux Embroidery Technique class I talk about below. A combination of lecture on the political and social events leading up to the Battle of Hastings in 1066 and the embroidered tapestry that illustrates it, plus a hands-on lesson in the stem stitch and laid couching embroidery stitches used. Embroider one of the ships from the tapestry. Two hours. Materials fee $1 plus another $1 if you want to buy the wooden embroidery hoop. Class limit 8 for the hands on embroidery portion. Unlimited people can come and listen to the talk. Novice Schola is put on by the Society for Creative Anachronism (SCA) group in Springfield, MA. It's a day long series of classes in Medieval Arts, Crafts, Sciences and History. There is no fee to be on site and attend the classes, though there may be a materials fee for individual classes. There is a "Day Board" for no additional fee (though donations are welcome) which just means a medieval-themed buffet style lunch. Bring your own plates and silverware. There is also a medieval feast that evening for $8.00 but only if you pay in advance by February 25th. The SCA is a participatory group. All participants are required to wear a "reasonable attempt" at pre-1600 clothing. The group in Springfield has a lot of medieval clothing available to loan for the day. There are tubs of loaner clothing available at the check-in desk. Just ask to borrow some! As soon as they post a class schedule, I'll update this entry. Classes in the past have ranged from how to make a book to beginning calligraphy to an overview of Viking Clothing. I love this event and all it's classes. And you really don't have to know anything about the SCA or medieval stuff to enjoy it. Bayeux Embroidery Class--We did it! Carol and I taught the Bayeux Embroidery class! (See page 31--warning .pdf). We had a lot of fun. The students had a lot of fun. They learned stem stitch, couching and laid work and had a nice lesson on the events of the year 1066--illustrated with sections of the Bayeux Tapestry--with a nifty handout to take home (if I do say so myself). We brought examples of the Bayeux Embroidery stitch technique--one of them on a piece of linen the width of the original so the students could get an idea of the actual size. We brought woad, weld and madder to show the dye stuffs. We brought examples of dyed wool and wool combs and a drop spindle to show how the embroidery wool was made. We recommend Paternayan tapestry wool if you're not going to dye and spin your own. Janet and Carol are going to teach this class again in the Spring. It will be on a Wednesday in May at Manchester Community College. Actual date not yet determined. This was such a fun class I hope I get a chance to teach it again. Perhaps for another Adult Education organization. Many of you probably know about the Bayeux Tapestry. It isn't a tapestry at all--it's a 230+ foot long embroidery. So I call it the Bayeux Embroidery. It's all done in only three stitches--Stem stitch, laid work and couching. That covers a lot of ground with not much wasted thread on the back. It was commissioned by William the Conqueror's half brother Bishop Odo of Bayeux. It was embroidered soon after William took the throne of England on December 25th, 1066. Consensus seems to be that it was embroidered in eight pieces at various nunneries in England; though the technique is very Scandinavian. Janet and our friend Carol were going to teach a class on Bayeux style Embroidery at a local community college this month; but Janet can't make it so I've been drafted instead. I've been spending the weekend putting together a handout about the technique, materials and colors of threads; and a longer one on what happened when and by whom in 1066. I know a lot about the Battle of Hastings and what lead up to it, of course. The Battle of Stamford Bridge on September 25, 1066 is often reckoned to be the end of the Viking age--with Harald Hardrada of Norway the last Viking King. But up to now I've only been explaining 1066 in two minute increments to interested people at faering demos. (The secret of Viking navigation is that they didn't have to be at work on Monday. This leads to a quick-and-dirty 2-minute lecture on why William was trapped on the wrong side of the channel all summer and Harold was out of position when he finally sailed across--with huge consequences to both the history of Western Europe and the English Language.) Tackling a two hour class that's part how-to-do-embroidery and part history of the Battle of Hastings is a whole other kettle of fish. And when we did a run through of the class last weekend I realized I needed more than quick-and-dirty 2-minute lectures. It's been an enlightening weekend and I can't wait to teach the class! Labor Day Sunday we took the Skogar Þrostur to Scanfest, held at the Vasa Park in Budd Lake, New Jersey. 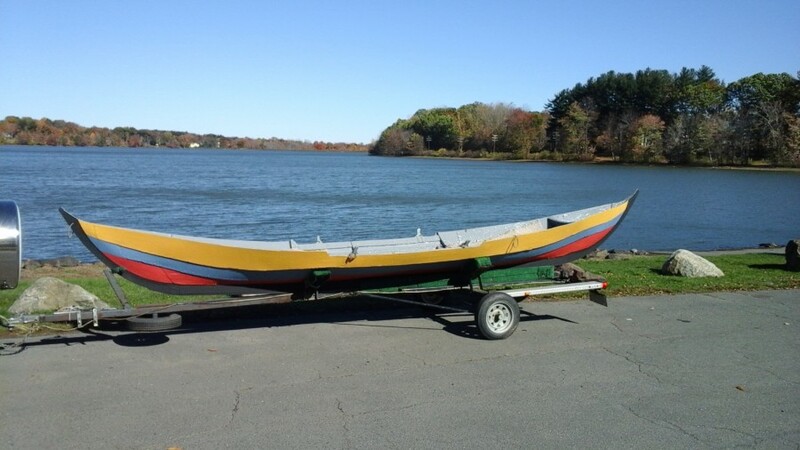 We used to live in Hackettstown, just down the road from Budd Lake, so we told friends we were going to be there and Bron and her daughter Rowan and Gudrun and her son PJ came and helped us with the boat. PJ was great! He taught a several boys to spin wool. Scanfest is a really fun festival. There are a lot of Scandinavian food booths, selling things to eat that day and also food imported from Scandinavia. There are many vendors that sell Scandinavian crafts and Nordic themed clothing. We left the boat to our friends for 45 minutes and did a bit of shopping. We found a birch bark box for Janet to use as a sewing kit in her work basket, straw Christmas Tree decorations sewn with red thread and some laser cut wooden Christmas tree decorations. We ate Swedish pancakes with lingon berries and had some almond and raspberry tart that I'd never had before but was wonderfully delicious. And they had a wife carrying competition--their first. The winner got his "wife's" weight in beer. Contestants didn't have to carry their own wives, they could borrow anyone's or even a woman who wasn't a wife. We had a ring-side seat and oh, boy was it fun to watch! But mostly we talked to people. Which can get repetitive in a blog since the main thing we talk about is the Skogar Þrostur and the Gokstad ship and Viking ship building techniques. We love doing Scandinavian festivals. Lots of people at these festivals have been to the Oslo or Danish ship museums and know about boats. They ask the most interesting questions. Afterwords the six of us went to dinner at Janet's favorite Italian restaurant in Hackettstown. (My favorite Indian restaurant was closed due to a fire back in March. Sob!) We talked and had a great time. Rowan was five when we left Hackettstown and now she's almost 13 so getting to know her more grown up was fun. We've penciled in the date for next year--always the Sunday of Labor Day. If you can go, go! It's great fun.